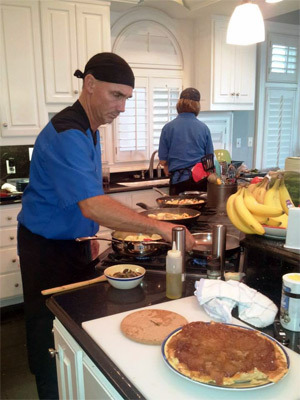 Jekyll – A Private Chef, is a personal and private chef serving the Emerald Coast region of the Florida Panhandle. Established in 2011, Jekyll – A Private Chef is seeking to revolutionize your fine dining by providing gourmet restaurant-quality meals in the comfort and convenience of your own home. Let us serve you for your next special occasion. Host a dinner party your friends will remember forever. 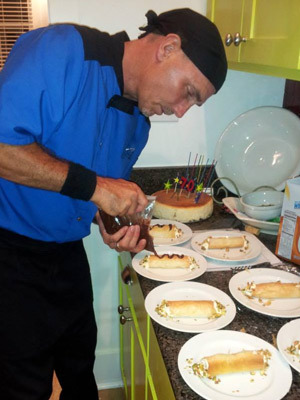 Chef Jekyll specializes in serving private dinners for two to twenty people. Providing a nice, casual five-course gourmet meal for everyone to enjoy will make you the envy of all your friends. Choose from our extensive menu of appetizers, soups, salads, entrées, side dishes and desserts to craft the perfect meal for your party. Contact Chef Jekyll for Information! Looking for a unique and fun evening? Want to learn some new techniques and recipes? 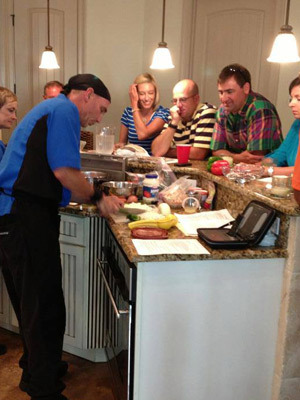 Invite your friends over for a cooking demonstration party with Chef Jekyll. He will coordinate with you on a menu and then shop for all the freshest ingredients for your fun and interactive dinner. This is the perfect way to enjoy the art of cooking and dining. Are you planning a big beach party or family gathering? Treat your guests to the traditional southern pleasure of a “Low Country Boil.” Imagine the freshest shrimp, crawfish, corn, potatoes, sausages and onions cooking together in the Low Country style. You haven’t lived until you’ve experienced the delectable bounty of the southern coast. Or what about a casual tapas brunch or cocktail party to allow your guests to mingle while they enjoy small plates, exquisitely prepared? You’ve decided you want to enjoy your vacation at the Emerald Coast without the hassle and expense of eating out—and without mom doing all the work! Or maybe you forgot the crystal ball that’s required to accurately buy all your food for the week. Chef Jekyll can solve your problem. Coordinate on a multi-day meal plan and Chef Jekyll will handle everything. Five-Star Breakfasts, Lunches, or Dinners at home whenever you want! What could be easier?